Follow in the footsteps of the Canadian Army as we retrace the 1943-1945 Italian campaign, the fierce battles that set the Canadians apart as the superior fighting force even in the most difficult conditions of war. It was here, long before the Normandy campaign, where our Canadian soldiers - affectionately called the 'D-Day Dodgers' - left their mark of sacrifice in legendary battles at such places as Monte Assoro, the Liri Valley, Ortona, Coriano Ridge and so many more. Our Italian battlefield tour is the most comprehensive tour of its kind. We bring you the experience of a true pilgrimage to the Canadian battlefields of World War Two ... and ... we ensure that you will see some of the most famous cultural locations in the world ... Rome, Syracuse, Ravenna, Venice. You will visit UNESCO World Heritage Sites too numerous to count, all the while paying homage to the young men who sacrificed their youth in the mountains and valleys of this beautiful Mediterranean country. 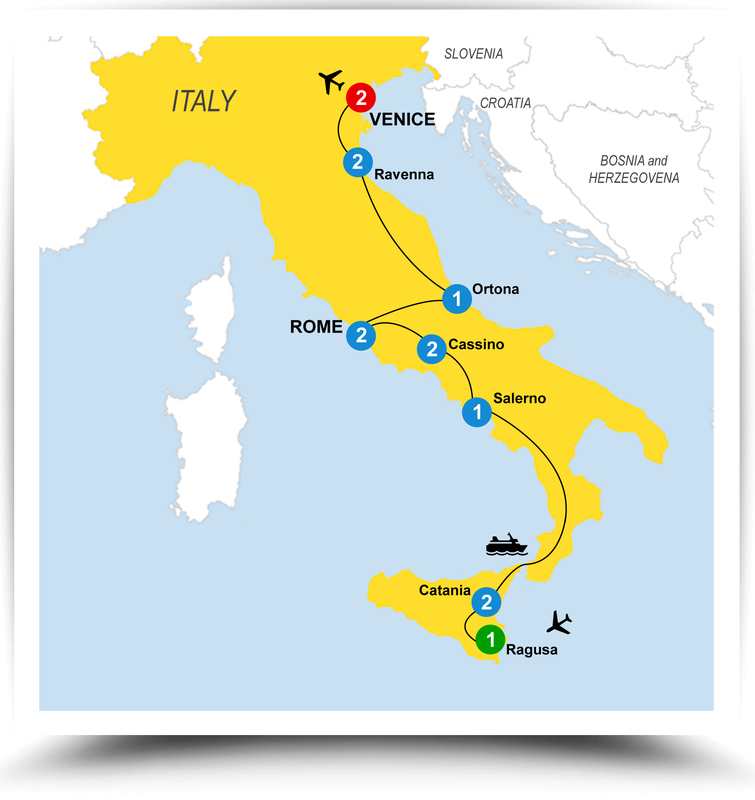 If you were to make only one battlefield tour to Italy this is it. On this 2020 edition of our tour we mark the 75th Anniversary of the Liberation of Italy. You will stay at quality hotels throughout, selected for their great location and service. And you’ll be part of a typically all-Canadian group. Note: this tour will occasionally feature a walk of some short distance, ascending some stairs, or walking up some minor hills or slopes of varying degree in order to reach some of the amazing locations on the tour - good personal mobility is key to a positive experience. Read what past travelers have said about our trips. Mark your calendar for departure in the fall of 2020 and join us as we set out upon an emotional, inspiring journey - Canada's premier battlefield and cultural trip to Italy. 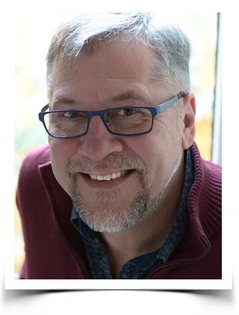 Your guide for this amazing tour is Mark Zuehlke, one of Canada's best-known historians and author of the award-winning Canadian Battle Series, each volume of which focuses on a battle or campaign fought by the Canadian Army in World War II. Mark has written extensively on the Canadian contribution to the Italian Campaign including the volumes you see here ... with a new book in the works! We depart from Canada for our overnight transatlantic flight to Italy, except for those who choose to leave sooner to extend their trip. Where available, guests will enjoy the luxury of a premium airport departure lounge. Enjoy a full free day at your leisure in Rome. Overnight Rome. Buffet breakfast. 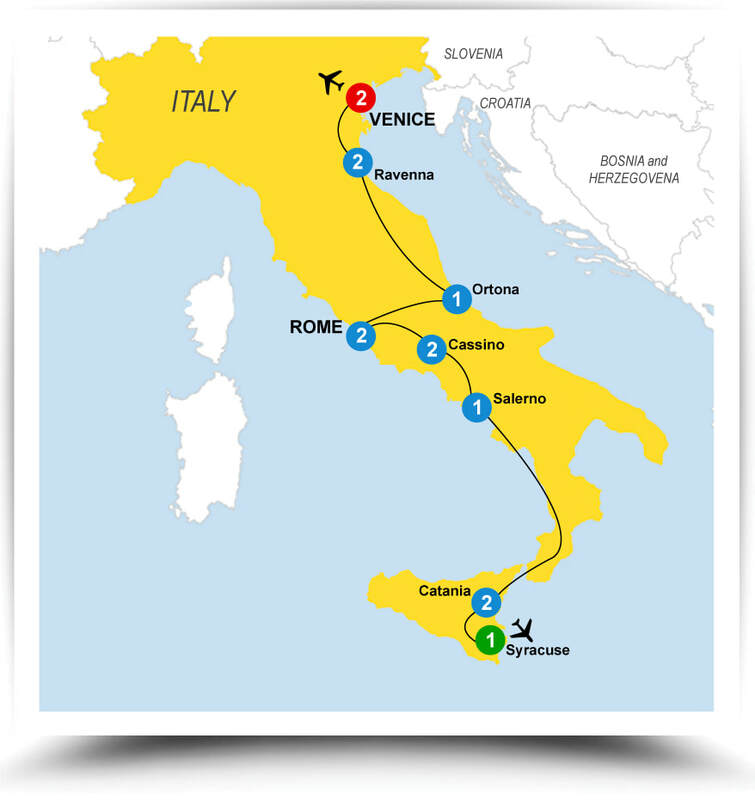 It's time to say goodbye to Italy, departing for Canada via Venice Airport Marco Polo (VCE) - except for those who may wish extend their stay at their option or carry on to other destinations. Buffet or box breakfast depending on departure time. Note: ﻿This itinerary is tentative, with a final edition to be published in the summer of 2019. Clients should also keep in mind that minor variances are always possible during the actual tour based on the need to adapt to circumstances we encounter during our travels. Gratuities to Coach Driver, On-Board Agent and Local Guides are included! ... these costs are extra on most other tours and can add up to $150 CAD or more per person at the end of your trip, requiring an awkward search for a bank machine in the final days of your vacation ... we eliminate this. Be sure to compare! $500 deposit per person due with booking. Balance of Payment will be due on or before July 17, 2020. All deposits and payments are non-refundable. Download and read our Terms & Conditions ​prior to making your booking. If you think you might be interested in this tour, and would like to receive updates when the pricing becomes available, simply complete the form and we will add you to the list!